A topic which appears to crop up with monotonous regularity in the overseas press is that of alleged sales or smuggling to nations hostile to the US of former Warsaw Pact equipment "capable of detecting stealth aircraft". These claims invariably involve either the Czech designed and built Tesla-Pardubice KRTP-86 Tamara or ERA Vera Emitter Locating Systems, or the Ukrainian designed and built Topaz Kolchuga series of Emitter Locating Systems. 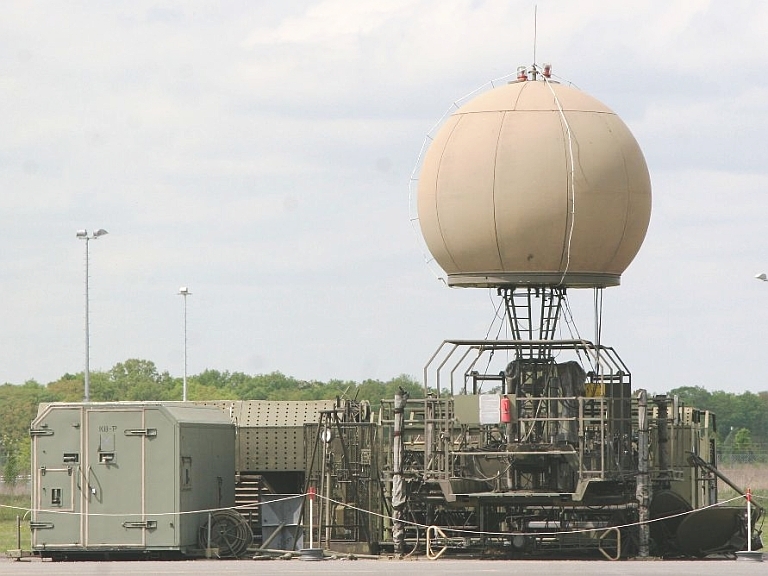 More than often this equipment is described as 'anti-stealth radar', 'radar' or 'passive radar', all of which are completely incorrect. The purpose of this analysis is to provide some technical discussion of these equipment types and their basic capabilities. 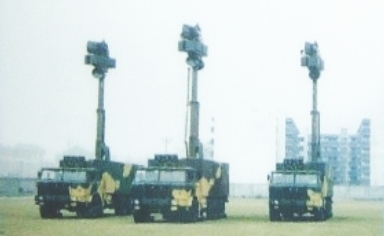 Both the Tamara/Vera series, their predecessor the Ramona, and the Kolchuga are passive Electronic Support Measures (ESM) systems built to provide an Emitter Locating System (ELS) capability against airborne targets emitting radio frequency signals. 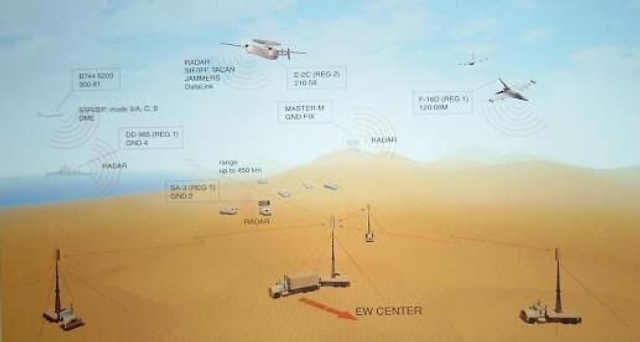 In this sense they are functional analogues of US, French, Israeli and other types of equipment designed to collect, identify, track and locate RF signals emitted by airborne targets. 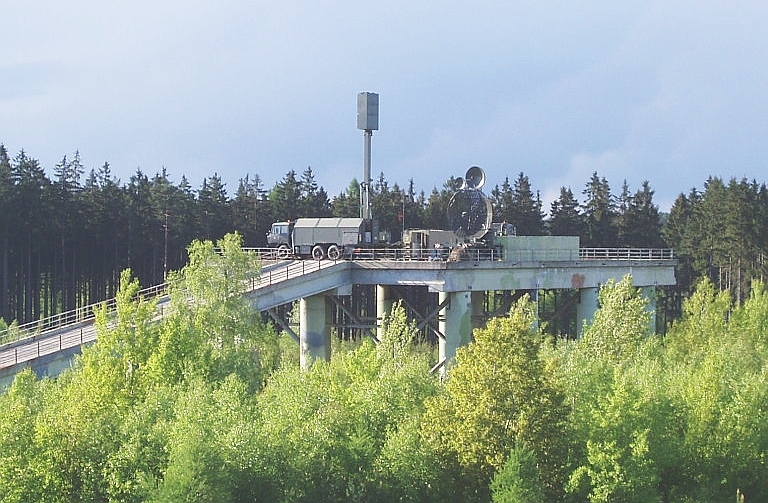 These systems were developed during the last two decades of the Cold War to bolster Warsaw Pact air defence capabilities in the high density European Theatre, where it was expected that the US would heavily jam all surveillance, acquisition and engagement radars used in the Integrated Air Defence System (IADS). The intent behind these passive sensors was to provide a capability to passively detect, locate and track US and NATO aircraft using their RF emissions, to cue other IADS elements to an engagement. 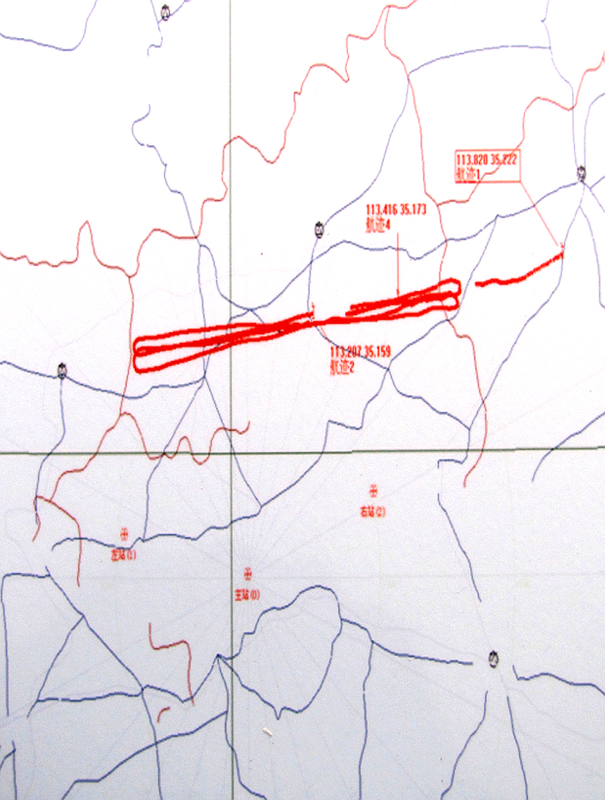 The Czechs made the most progress in this area, developing the Ramona and Tamara systems using the quite sophisticated DTOA (Time Difference Of Arrival) technique, one which did not become widely used in Western ELS equipment until much later. The Kolchuga, Vega/Orion and Avtobaza are more conventional Direction Finding (DF) systems, with two or more stations they use multiple bearing measurements to fix the target emitter. 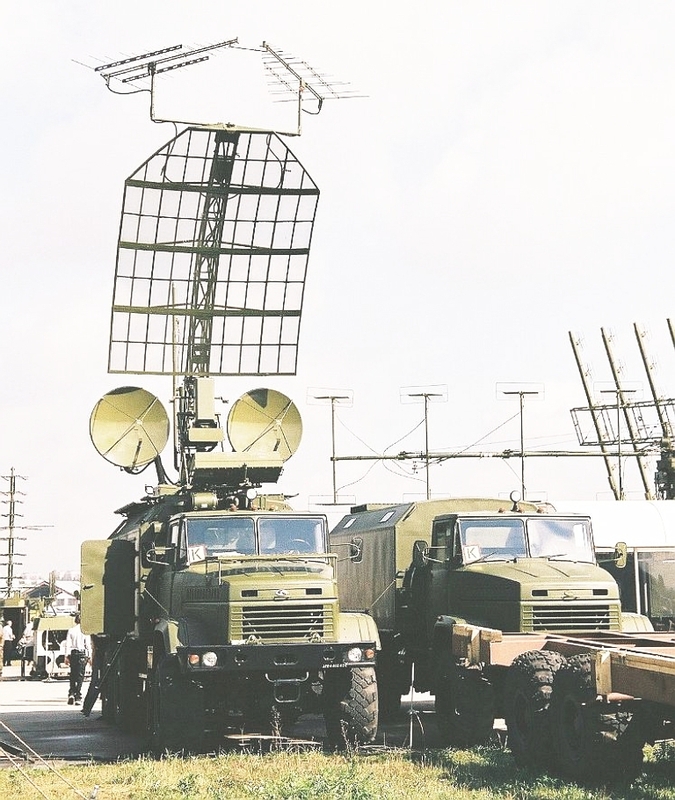 The widely propagated public claims that DTOA Emitter Locating Systems are 'passive anti-stealth radars' is difficult to fathom. All DTOA ELS systems are most effective at detecting and tracking omnidirectional emitters. 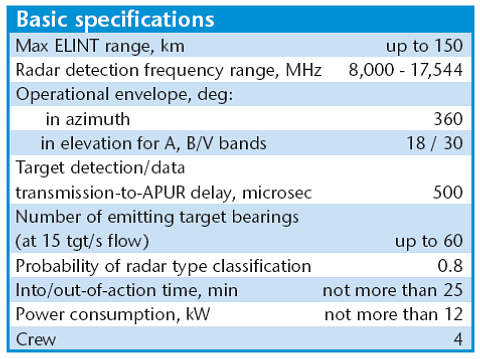 For the DTOA ELS to function, at least three of the widely spaced antenna/receiver systems must detect the very same emission from the target. This is why the Warsaw Pact's Ramona/Tamara family of DTOA systems was used primarily to track IFF, SSR, VOR/DME, Tacan, JTIDS/Link-16 and other omni emission sources from NATO aircraft. A narrow and low sidelobe pencil beam emission from an X/Ku-band radar is even under the most favourable geometrical conditions not going to concurrently illuminate three or more DTOA ELS stations, spaced tens of miles apart, so the DTOA system cannot perform its geolocating function. With low gain antennas needed to properly cover the required angular extent, the notion that DTOA systems can lock on to and track sidelobes from X/Ku-band AESAs is simply not supportable from a basic radio physics perspective. The only possible scenario in which such a DTOA ELS could track a VLO aircraft is where the aircraft is transmitting via an omni antenna JTIDS/Link-16 terminal while penetrating hostile airspace. This is so unlikely that it cannot be considered seriously. 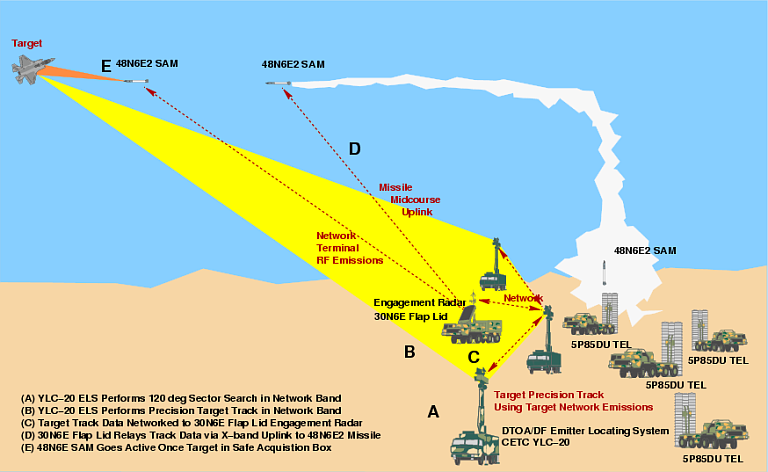 The only other possible scenario which might be contemplated by those arguing 'anti-stealth' capabilities for DTOA or DF ELS equipment is their use as the receiver component in a multi-static radar system, which assumes the volume of airspace in which the VLO aircraft is operating is also being floodlit by a very high power pulsed emitter in the UHF/VHF/L-bands. The difficulty then confronted, especially by a DTOA ELS network, is the power-aperture problem. As the angular coverage of the DTOA ELS stations must be large, this is at the expense of antenna gain. To achieve a given power-aperture product in the multi-static system, the gain and emitted power at the floodlighting emitter end of the system must be exceptionally large, to compensate for the low gain of the receiver components. Claims that conventional DF systems like the Kolchuga can readily detect and track VLO aircraft also defy analysis. While they have higher gain antennas compared to the DTOA ELS designs, they are confronting the probability of intercept problem against a very low sidelobe AESA, which is power managed, and highly frequency agile. They can only detect and track the emitter if the station is sitting inside the mainlobe of the AESA, and pointing at it when it is emitting. The only scenario where this is feasible is if three or more such DF systems are closely clustered around the target to be attacked, and all are pointed along the threat axis. Were this true, the DF systems then confront a geometrical dilution of precision (GDOP) problem, which will severely impair range accuracy. The claimed use of DTOA techniques in the Kolchuga is unlikely to correct this problem due to the very short DTOA baseline. The claim that DTOA or conventional DF Emitter Locating Systems provide a useful capability against VLO aircraft is simply not credible. Its continuing popularity appears to fit in the same category as claims that the B-2A's stealth paint washes off in the rain. Kolchuga ESM antenna array (Image © Miroslav Gyűrösi). Additional images via Topaz , . The Topaz Kolchuga is a long range direction finding Electronic Support Measures receiver system, which if networked can provide the functions of an Emitter Locating System using triangulation and DTOA techniques. The design is claimed to have been nominated for a State Science and Engineering Prize. It was developed during the 1990s by a consortium including the Special Radio Device Design Bureau public holding company, the Topaz holding company, the Donetsk National Technical University, the Ukrspetsexport state company, and the Investment and Technologies Company. Claimed band coverage extents from 130 MHz (VHF) up to the X/Ku-bands. Claimed sensitivity is -110dBW to - 155 dBW. Track capability is claimed to be 32 concurrent targets. The Kolchuga is also claimed to combine DF techniques with DTOA techniques. The latter will be limited in angular extent to targets which fall into the mainlobes of the respective antenna components for the band in question. The sale of four systems to the PRC has been reported. There is ongoing speculation that the system has been supplied to Iran but no validation to date. 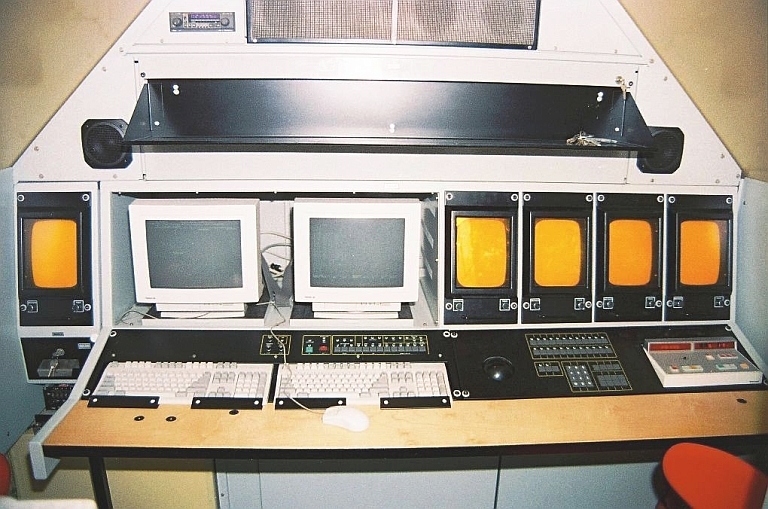 Kolchuga ESM console (Image © Miroslav Gyűrösi). Kolchuga on display at MAKS 2009. Below, note the revised operator station (© 2009 Vitaliy V. Kuzmin). 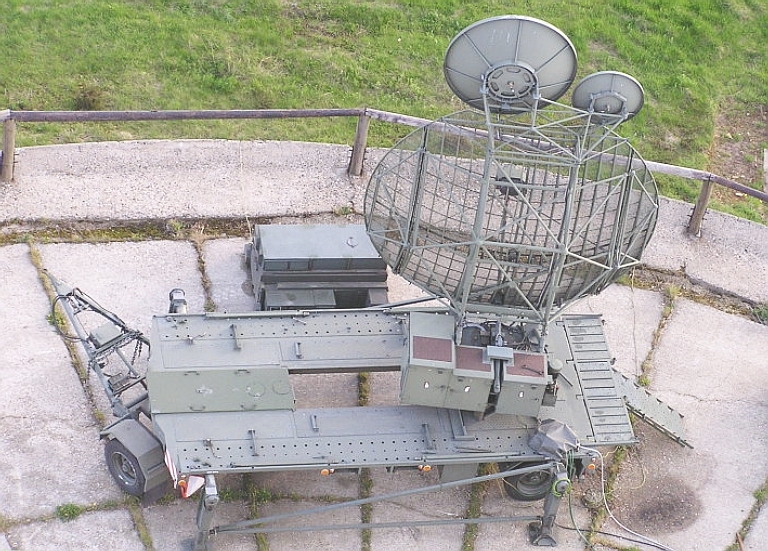 Semimobile Ramona / Soft Ball ELS variant of the DDR NVA at Gatow AFB (Images © Miroslav Gyűrösi). Additional image . The Ramona was deployed first in 1979, as a replacement for the PRP-1 Kopac DTOA ELS which was developed during the 1960s, and retired in the late 1990s. It was superceded in production by the mobile KRTP-86 Tamara. 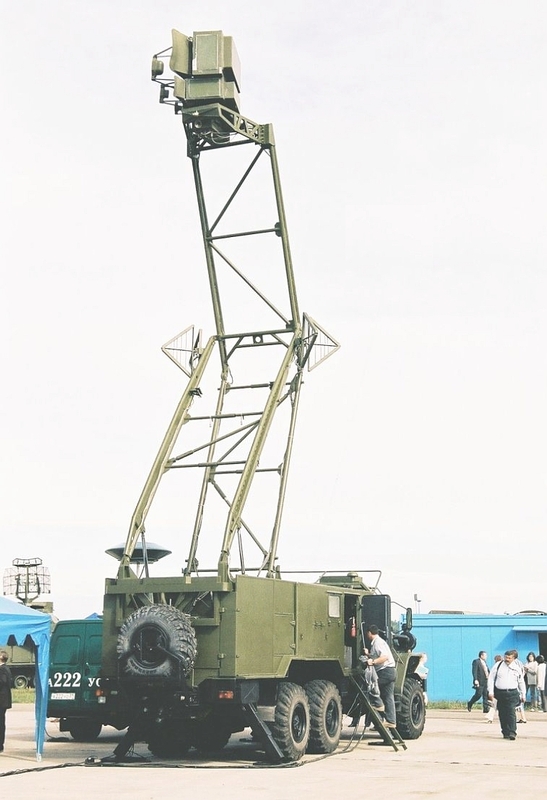 The Ramona system was built in a semimobile configuration, either on a ground based platform or 25 metre tethered lattice mast. The mast mounted variant weighed in total 160 tonnes, and was carried by no less than thirteen Tatra 138/148 10 tonne 6x6 trucks. The spherical radome housed the receivers and datalink transceivers required to operate three or more stations. Deployment of the system on site takes 12 hours. 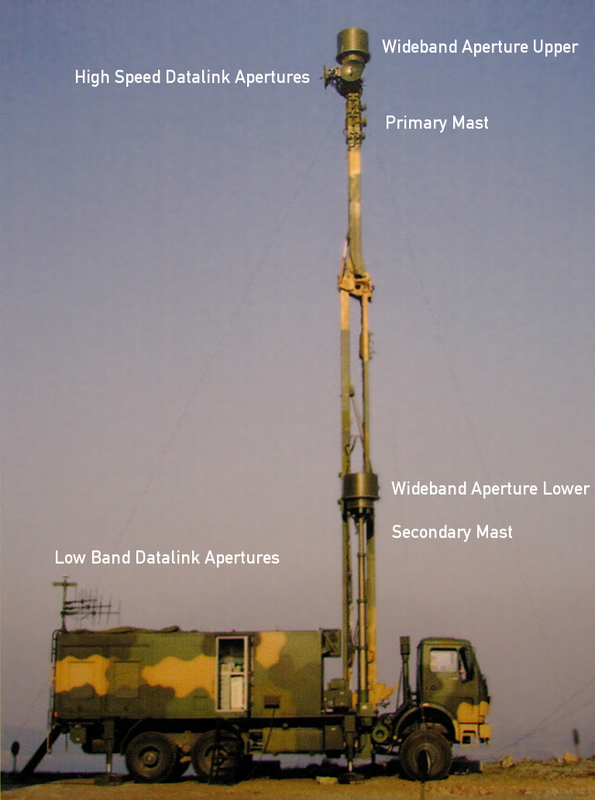 Band coverage was 1 to 8 GHz, with the primary application in locating and tracking airborne IFF/SSR transponders and TACAN installations. Twenty targets could be tracked concurrently. The Ramona was regarded to be complicated and troublesome to deploy, factors which strongly influenced the design of the subsequent Tamara. 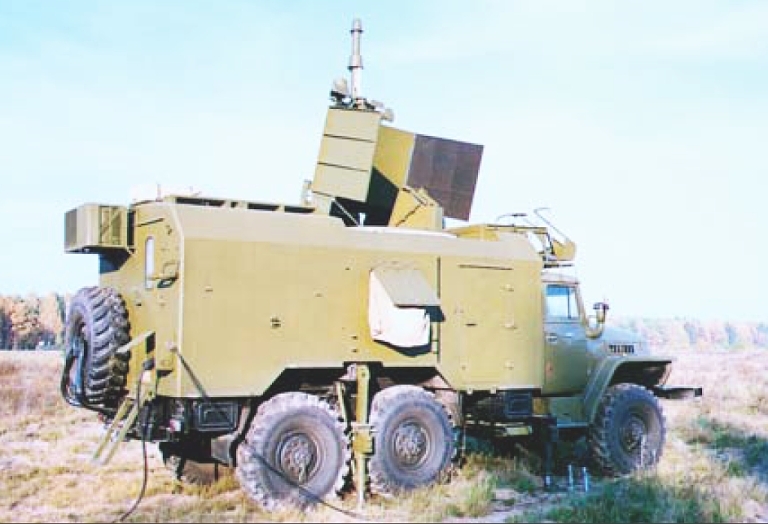 Seventeen baseline KRTP-81 systems were built, 14 exported to the Soviet Union, 1 to the DDR, 1 to Syria, and 1 deployed by the CSLA. Fifteen improved KRTP-81M systems were built, the Soviets buying 10, Syria 3 and the CSLA deploying 2 systems. 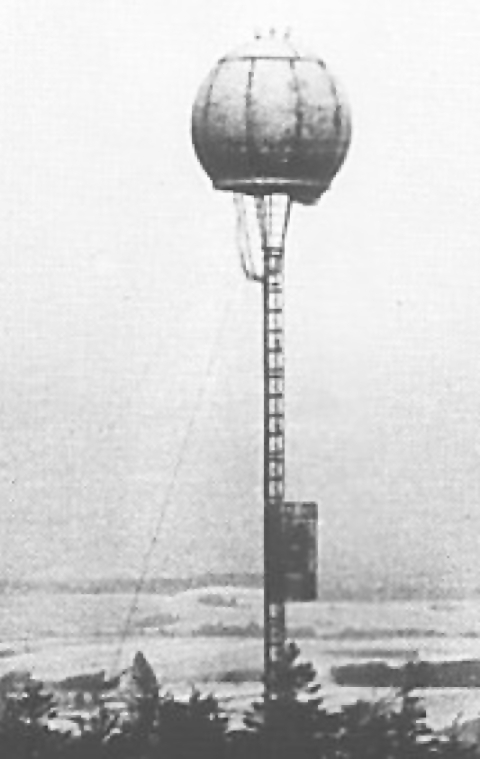 Mast mounted Ramona ELS variant of the CSLA during the Cold War. 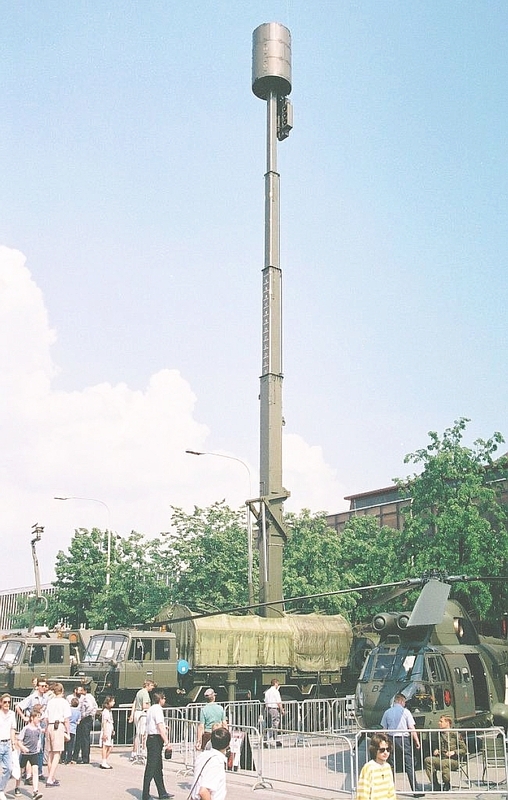 Early KRTP-86 Tamara ELS of the PVO-S deployed with partially elevated mast (Image © Miroslav Gyűrösi). Additional image . The KRTP-84 Tamara was an evolution of the Ramona, designed with high mobility and rapid deployment as a priority. Testing of prototypes began in 1983, followed by state trials and certification in 1987. 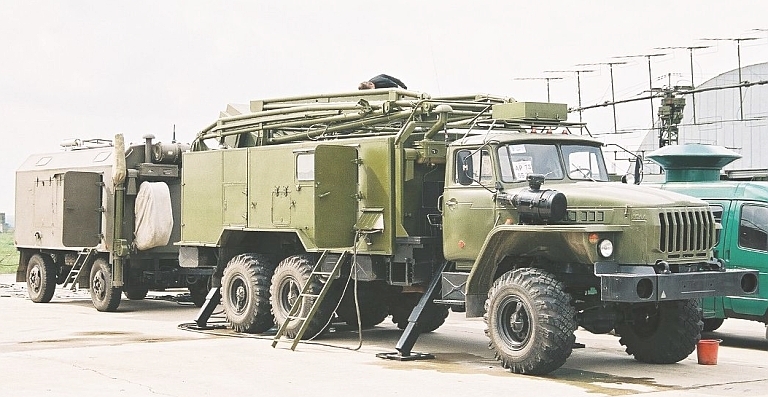 A single system is carried by eight Tatra 815 8x8 trucks (Equivalent to the MAZ-543), comprising three RS-AJ/M receiver systems with telescoping masts, and a mix of RS-KB hardware containers, RS-KM signal processing equipment container and a ZZP-5 command van. The mast mounted RS-AJ/M can elevate to 8.5, 12.5 or 25 metres AGL and can operate at wind strengths below 60 knots, with a structural limit of 100 knots. 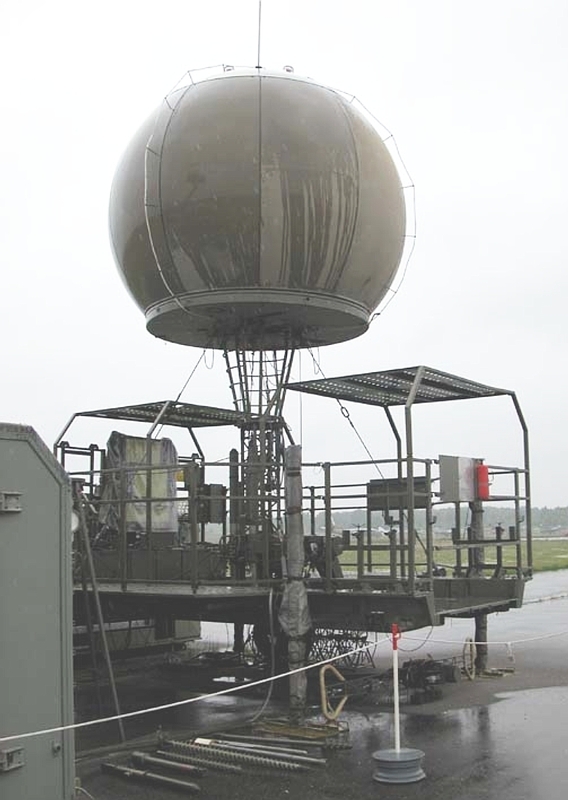 The cylindrical antenna radome houses the receiver equipment and datalink transceivers for networking the stations. In a typical deployment the receivers are stationed at distances of 5 to 20 NMI. Cited band coverage is 820 MHz to 18 GHz. Design objectives included the tracking of the F-15 at 200 NMI and F-16 at 215 NMI, with the cited range limit being 240 NMI and limited primarily by the curvature of the earth. Russian sources claim that 72 targets can be tracked within a 100° angular sector, these including emitting JTIDS/Link-16 terminals. In 1991 the baseline KRTP-86 was superceded in production by improved the KRTP-91 Tamara-M.
Russian sources claim that 23 Tamara and Tamara M systems were built before production switched to the Vera series. 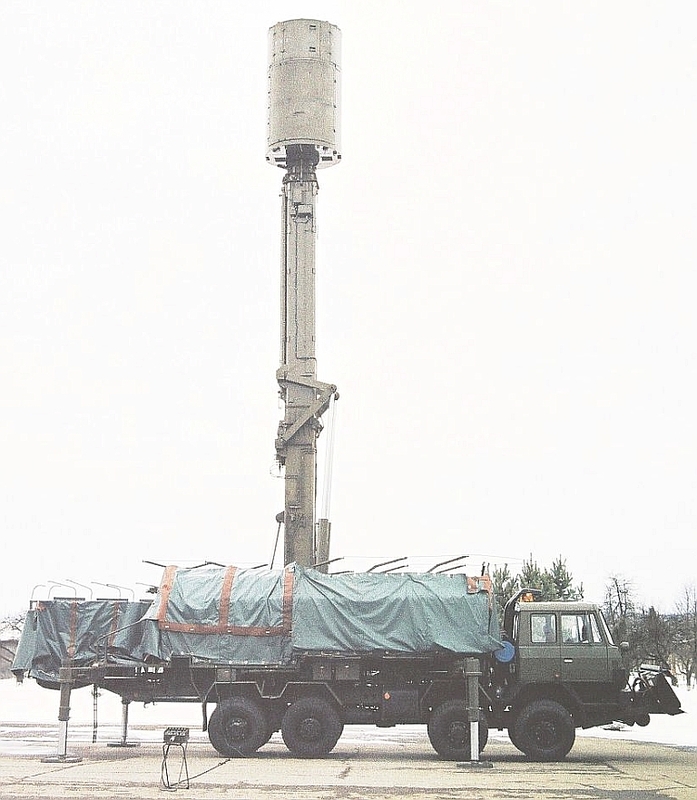 Of these, the USSR/Russia acquired 15 Tamara systems and 4 Tamara-M systems, the CSLA 4 Tamara M systems, the GDR NVA one Tamara system, with claims that the US acquired two systems via Oman. KRTP-91 Tamara antenna package (Image © Miroslav Gyűrösi). KRTP-91 Tamara with antenna fully deployed (Image © Miroslav Gyűrösi). 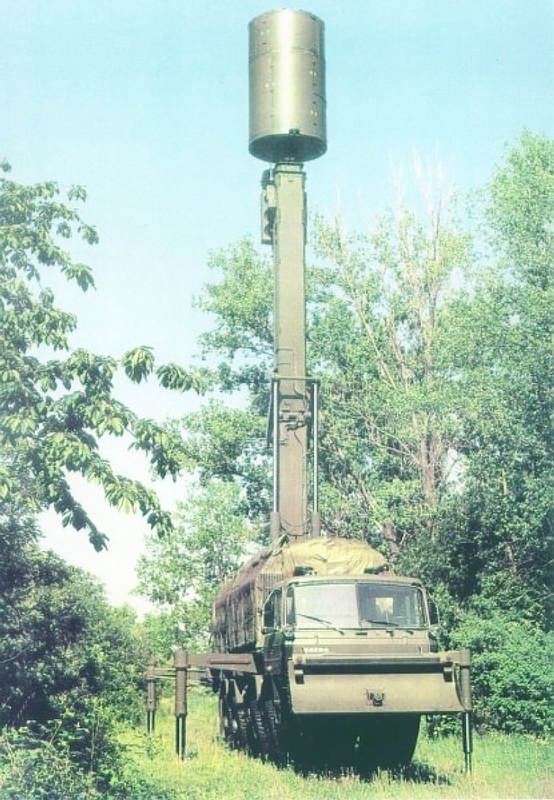 Tamara ELS of the DDR NVA deployed with mast fully elevated. KRTP-91 Tamara console (Image © Miroslav Gyűrösi). 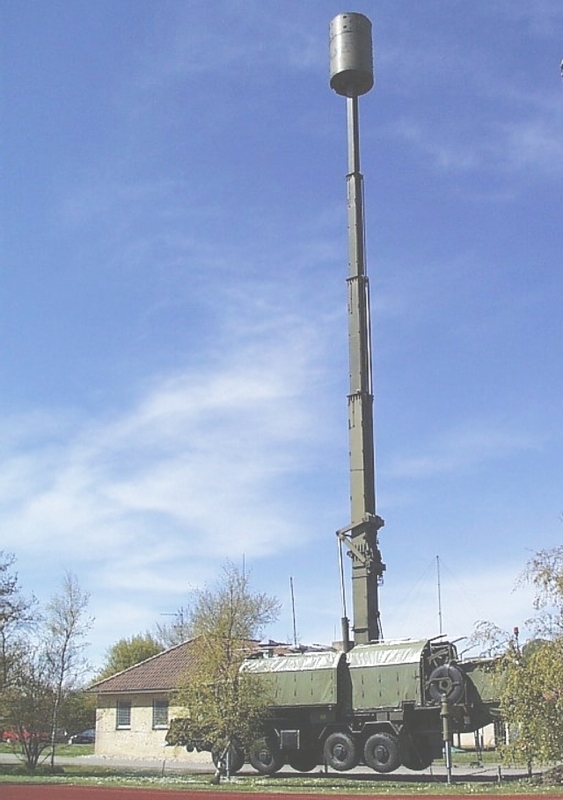 KRTP-96 BORAP ELS deployed with partially elevated mast (Image © Miroslav Gyűrösi). 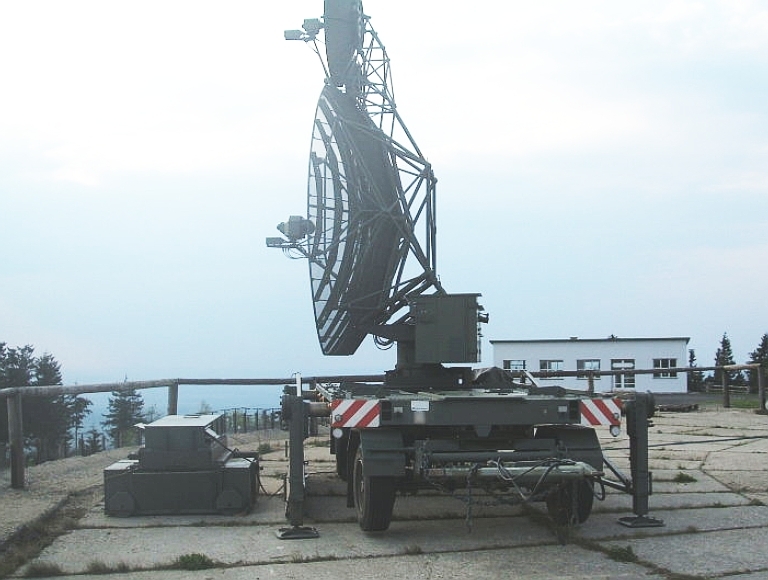 The KRTP-96 series are a follow-on design to the KRTP-91 Tamara series, using a much larger antenna package, and achieving IOC with Czech Army units in 1999. The system has a DF capability and is typically deployed in pairs, providing coverage over a 120 degree angular sector. Frequency coverage is L-Band throught to Ku-band. The system can be deployed in ~1 hr. KRTP-96 BORAP ELS stowed (Image © Miroslav Gyűrösi). KRTP-96 BORAP ELS antenna stowed (Image © Miroslav Gyűrösi). Deployed ERA KRTP-96 BORAP ELS of the 531st Passive Surveillance Systems Battalion of the Czech Army (Czech Army image). ERA Vera E Emitter Locating System. The Vera E equipment displayed to date has been installed on trailers rather than the robust truck mounted mast system of the Tamara series (Image © Miroslav Gyűrösi). The post Cold War Vera systems are improved derivatives of the Tamara, and have not proven particularly successful in the market, in a large part due to the fact that the clients most interested in the product are not part of the Western alliance. 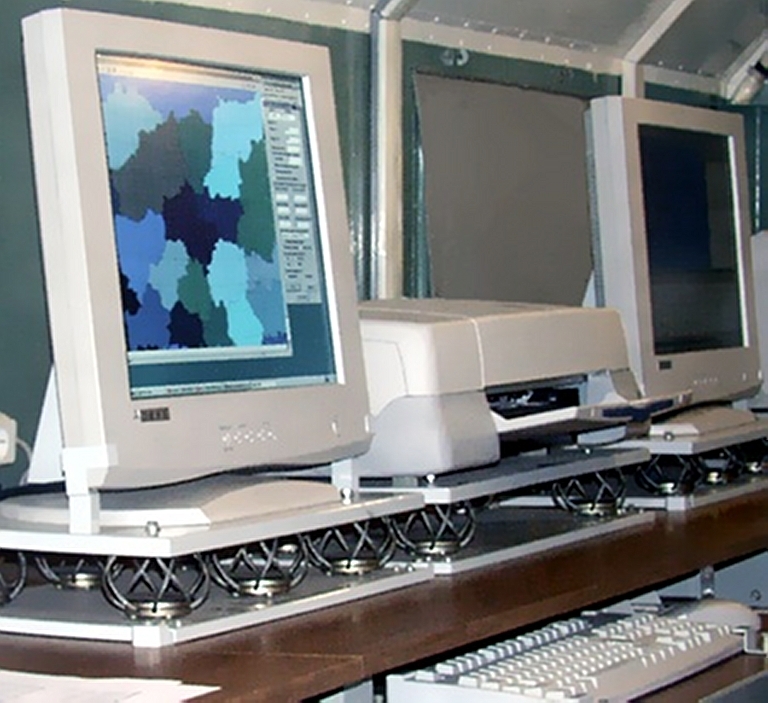 China was granted export licences in 2004 for six Vera-E systems, which were revoked after pressure was brought to bear by the US State Department. There are reports that Malaysia, Vietnam, Pakistan and Egypt were interested in acquiring the system. The Czech Army has acquired one system, the US DoD one system, and the Estonians one system. 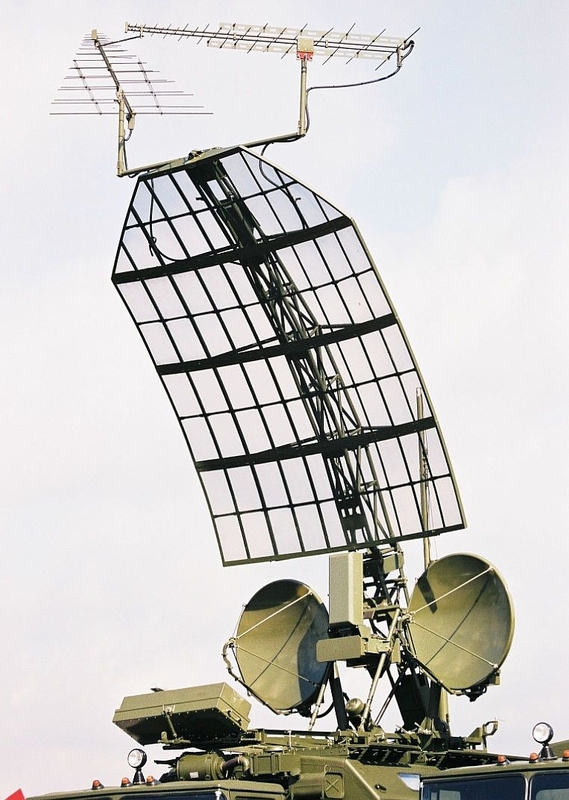 ERA Vera E Emitter Locating System antenna package (Image © Miroslav Gyűrösi). 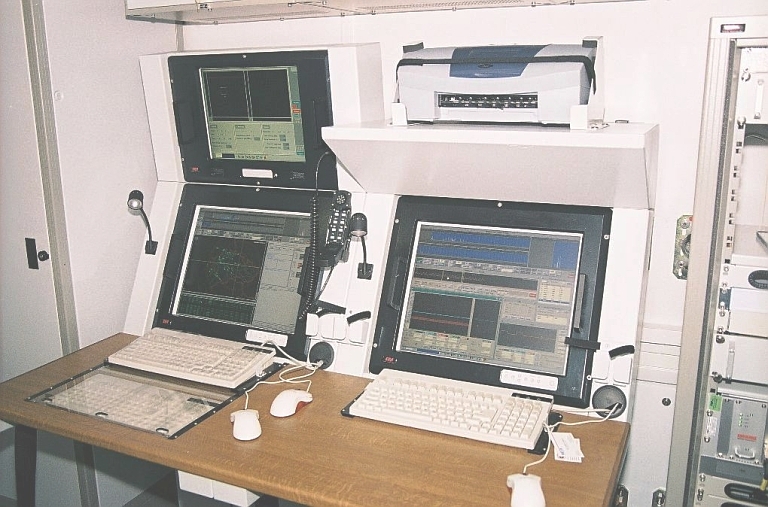 ERA Vera E Emitter Locating System console (Image © Miroslav Gyűrösi). ERA Vera SM of the 531st Passive Surveillance Systems Battalion of the Czech Army (Czech Army image). 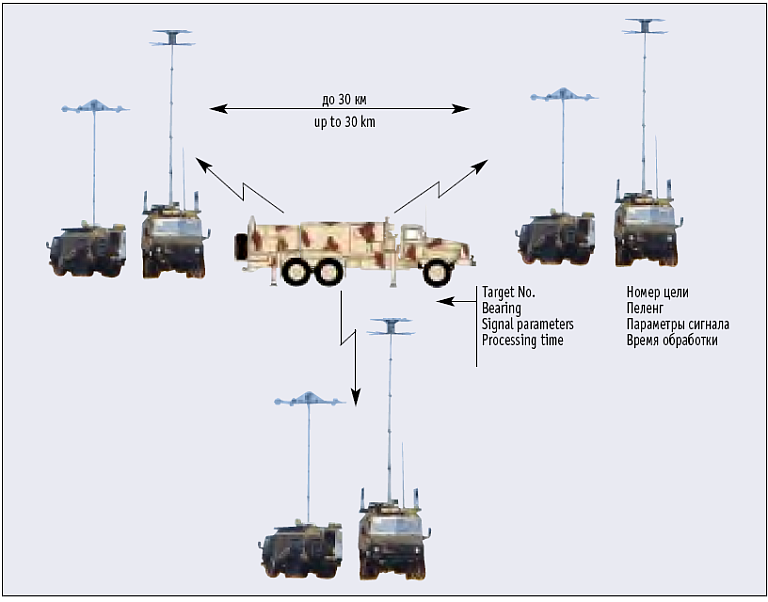 SDD long range ESM of the 531st Passive Surveillance Systems Battalion of the Czech Army (Czech Army image). The SDD long range ESM system was introduced in 2001 as a replacement for the obsolescent Soviet SDR-2 system. Deployed in pairs, this monopulse system is credited with a range of up to 330 NMI with coverage between 0.8 and 8 GHz, effective against pulse and CW emitters. The antennas use steerable feeds. 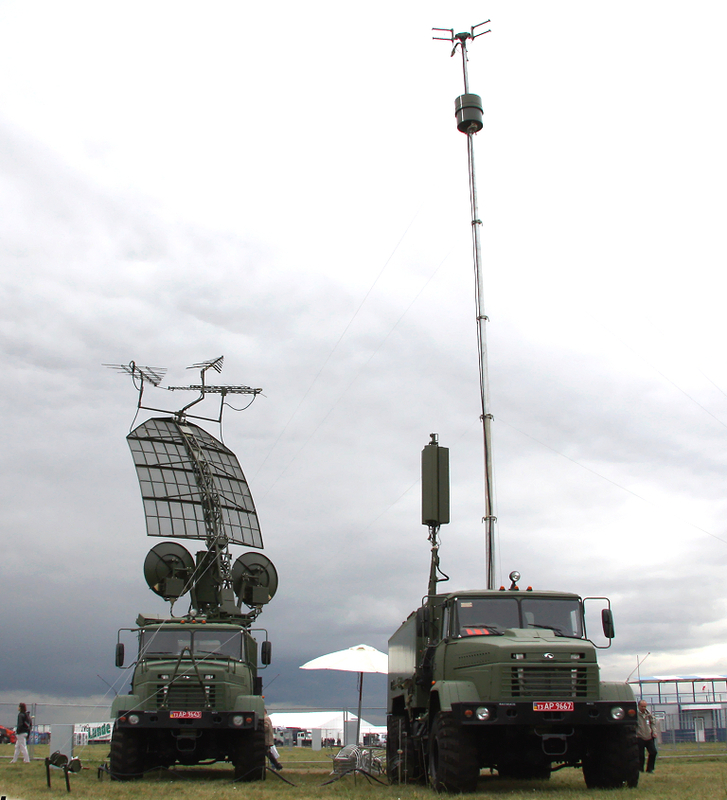 The system is deployed on TATRA 4x4 ARMAX truck with a KSSK container and towed antenna suite. 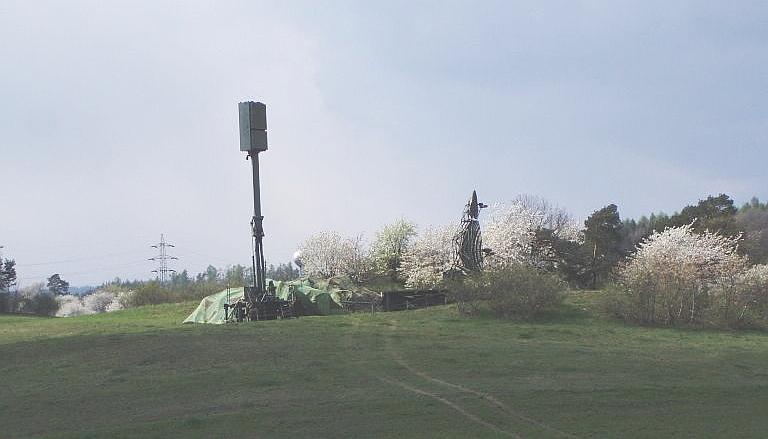 Deployed SDD long range ESM of the 531st Passive Surveillance Systems Battalion of the Czech Army (Czech Army image). 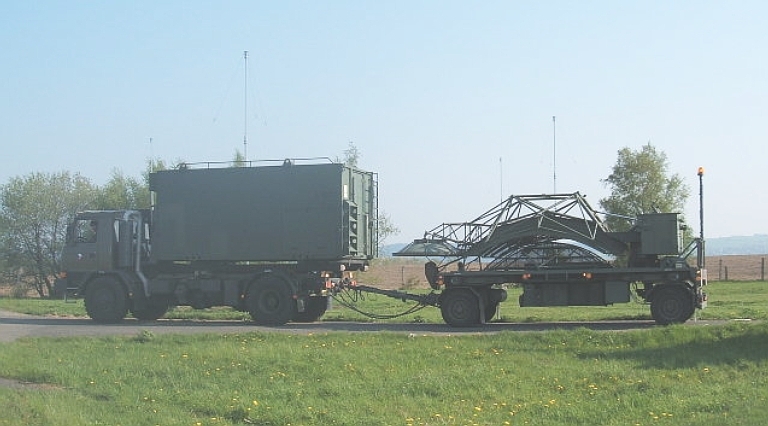 Stowed SDD long range ESM of the 531st Passive Surveillance Systems Battalion of the Czech Army (Czech Army image). Deployed 85V6 Vega / Orion ELINT System (Image © Miroslav Gyűrösi). Stowed 85V6 Vega / Orion ELINT System (Image © Miroslav Gyűrösi). Antenna package on the 85V6 Vega / Orion ELINT System (Image © Miroslav Gyűrösi). 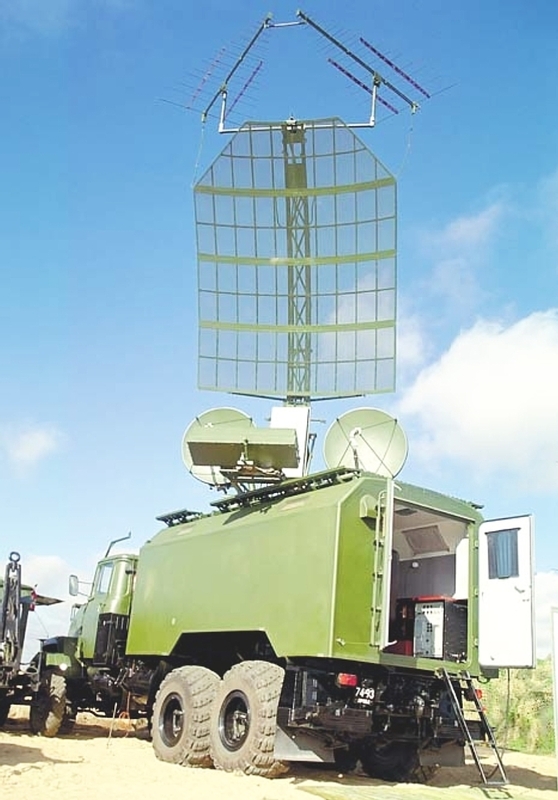 The Avtobaza ELINT system is designed to detect airborne side-looking radars, air-toground fire-control radars and low-altitude flight control radars, as well as to provide intelligence data for the 1L125M APUR. 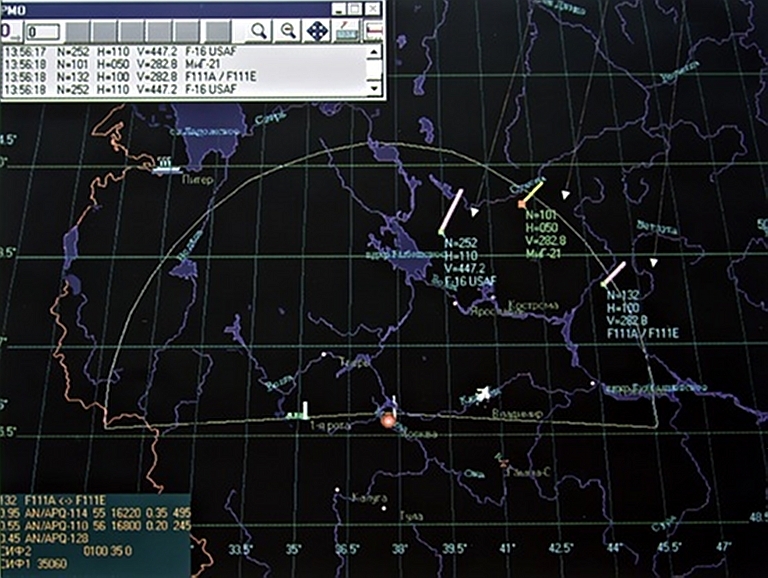 The ELINT system displays on the TV screen acquired targets with data on their direction finding, angular coordinates (azimuth and elevation), radiation signal parameters (carrier frequency, duration, pulse repetition frequency) and radar type classification (sidelooking, fire control, low-altitude flight control radar). 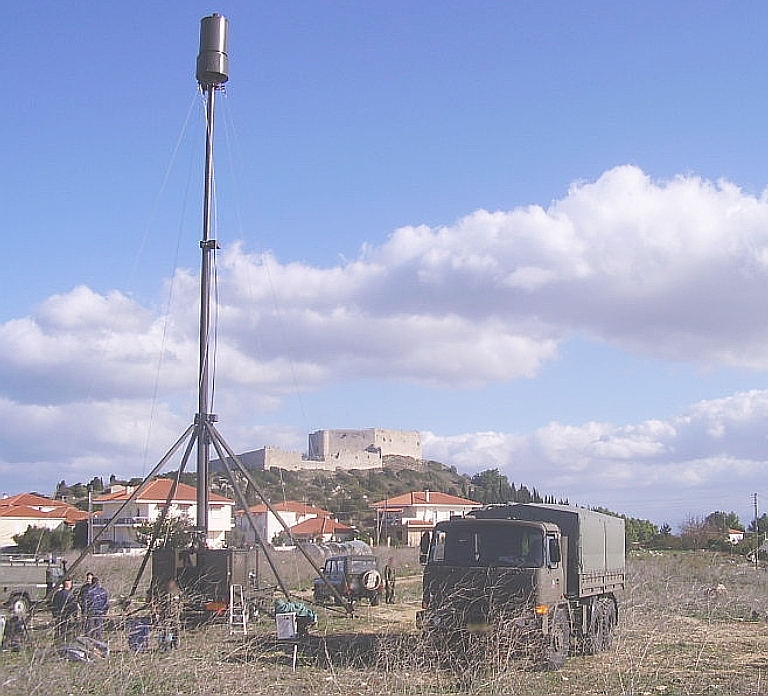 The APUR automated jamming control system is fed with target data (frequency band number according to frequency assignment of jamming systems, type of emitting radars and their angular coordinates) via cable at a range of up to 100 metres. 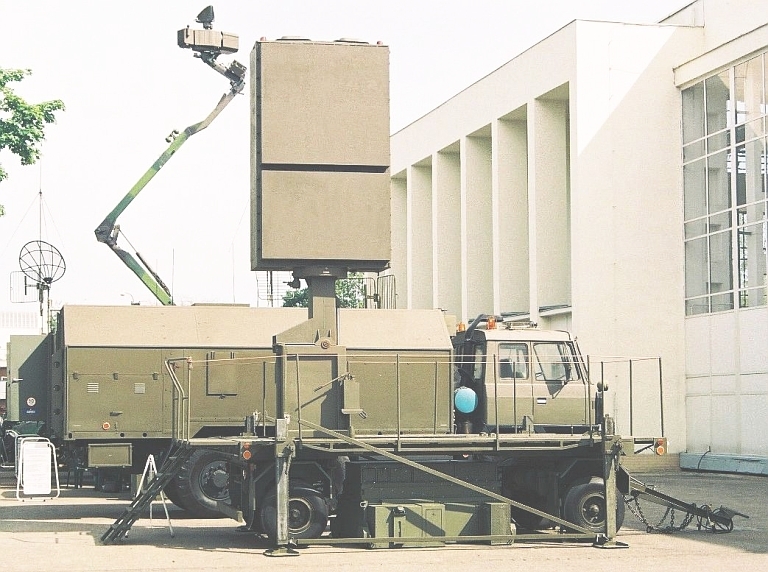 Russian sources have reported the development of the Valeria E which appears to be Russian designed and built replacement for the Czechoslovak KRTP-86/91 Tamara series of emitter locating systems. 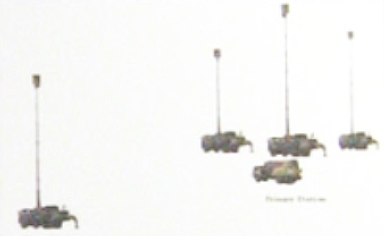 To date no imagery of the antenna system and vehicles has been published. The system is intended to detect, track and identify airborne emitters, including radars and support jamming aircraft, from VHF through to the Ku/Ka bands. A cylindral wideband phased array antenna is employed. Threat detection, tracking and cueing for fighter GCI and medium and long range SAM systems under conditions of jamming, and attack by anti-radiation missiles, cruise missiles, and low observable PGMs. The Valeria E comprises at least four networked subsystems, one central processing and C3 cabin, and three antenna/receiver units. While each system provides a circular coverage footprint within which range, azimuth and elevation can be measured, it is intended that multiple systems be deployed with overlapping coverage. Elevated terrain is recommended to improve coverage. The networked components are typically sited at 10 to 35 km apart. Дежурная смена для мобильного варианта, чел. The recently disclosed DWL002 is a modern and technically sophisticated digital Emitter Locating System, which builds on ideas employed in the earlier YLC-20 ELS. While design employs much the same DTOA and Angle Of Arrival [AOA] techniques as the much older Russian, Ukrainian and Czech ELS systems, the DWL002 introduces an important innovation, which is the use of paired primary wideband apertures, displaced in elevation. The resulting phase and time differences between the upper and lower antennas permit heightfinding, otherwise problematic in earlier single aperture designs. The primary apertures are housed under cylindrical radomes, in an arrangement similar to the KRTP-91 Tamara and ERA Vera systems. 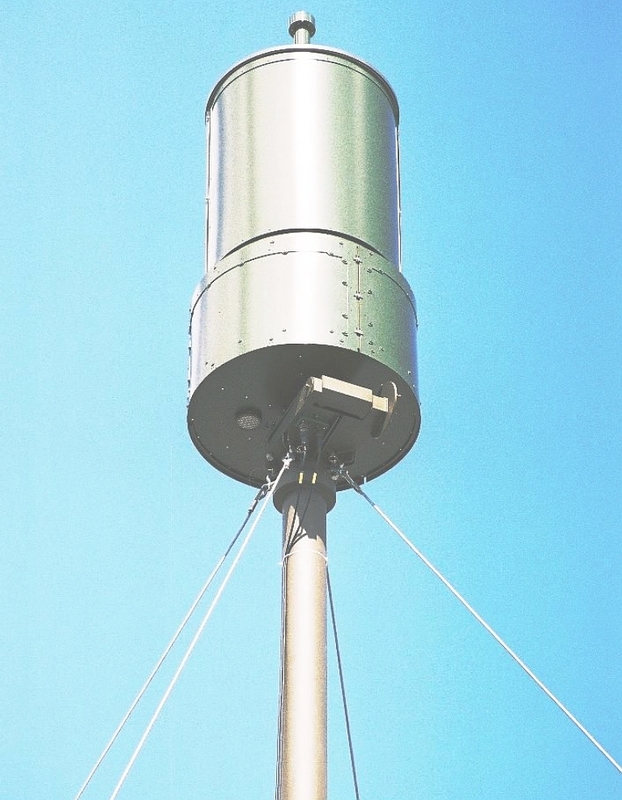 The lower primary aperture is on a telescoping mast, the upper primary aperture on the articulated folding main mast, which employs hydraulic actuators. Below the upper primary aperture is a package of steerable parabolic antennas, likely operating in the upper X-band or Ku-band. These are employed to provide high data rate links between the three or four networked DWL002 systems when deployed. The aft of the equipment container also mounts three Yagi antennas, the purpose of which has not been disclosed. It is most likely that these are employed for datalinking target track data from the networked DWL002 systems to other air defence assets. 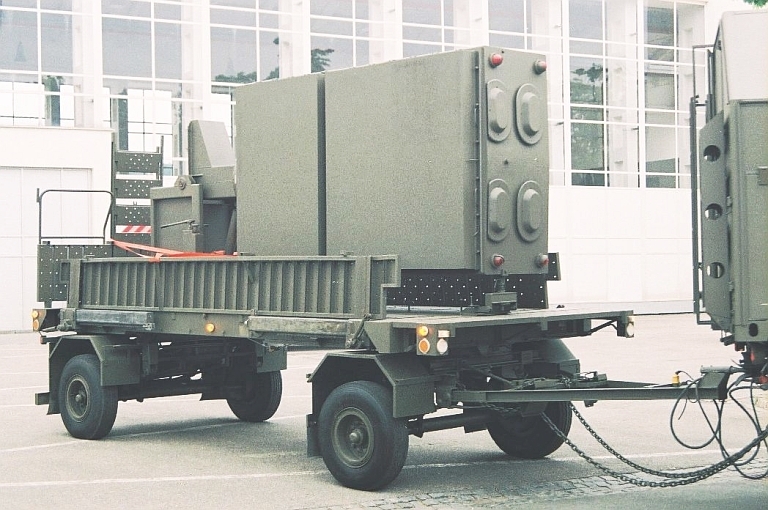 The system is carried on a North Benz ND1260 (Mercedes-Benz NG 80) 6 x 6 military truck, common to recent radar designs such as the YLC-2V, JY-11B, JYL-1, YLC-18, Type 120, Type 305A and Type 305B. This will result in similar onroad and offroad performance. 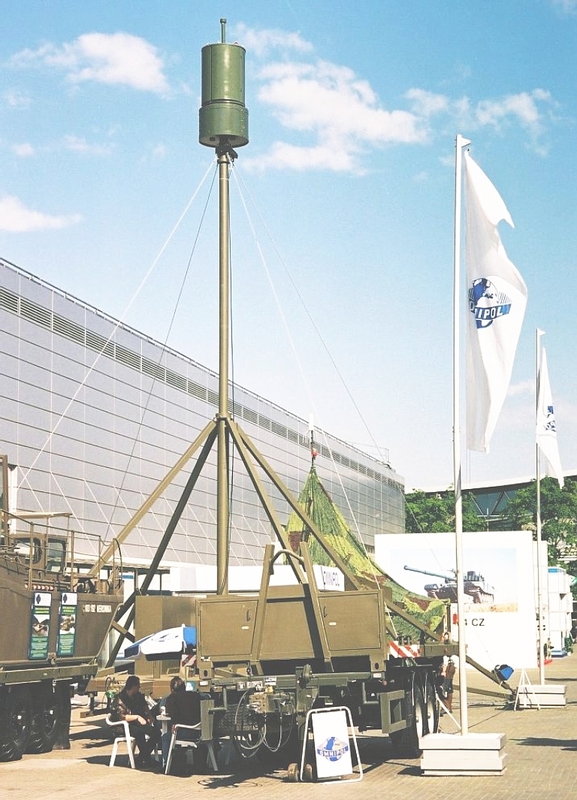 The strategic significance of the DWL002 is that it is the first DTOA technology ELS which has been designed from the outset with the intention of providing robust heightfinding capability when passively tracking an emitting target. 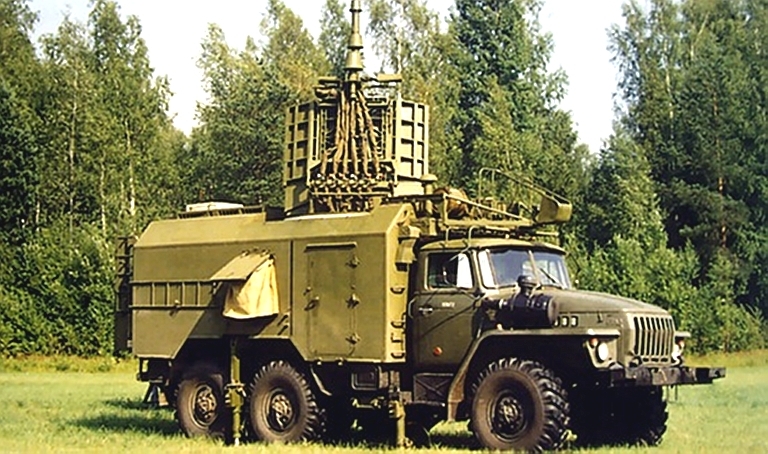 The ability to generate near-realtime or soft realtime 3D target tracks would be especially valuable in supporting SAM systems like the S-300PMU2 or HQ-9, as this could be employed to cue the SAM engagement radar very precisely to the inbound target. Should the accuracy of the ELS be sufficiently high, it could be employed to generate post-launch midcourse tracking corrections for outbound SAMs. 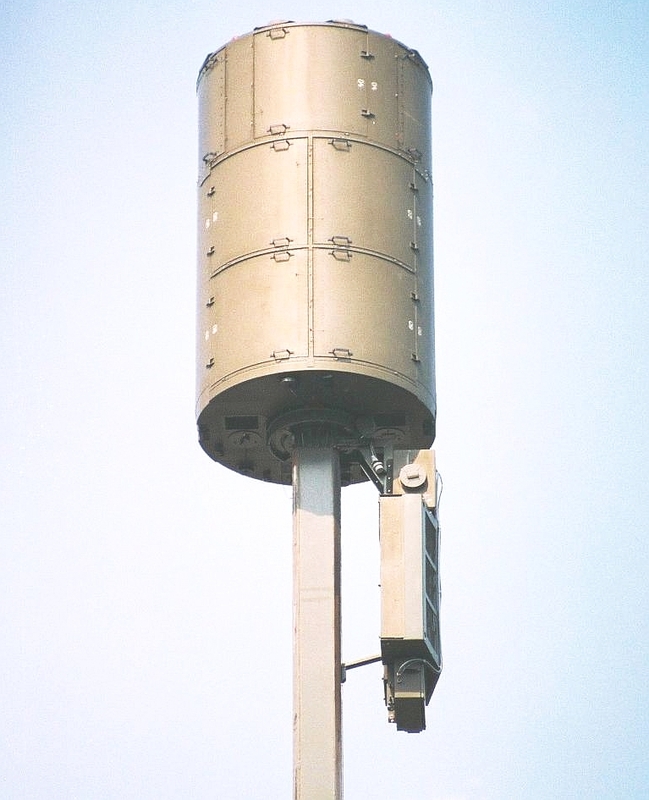 “DWL002 Passive Detection System, also called as passive radar, is mainly used in air-defense or seashore monitoring to perform the detection to perform the detection and location to airborne, shipborne or landbased emitters in complex electromagnetic environment and display the target flight path in real time. 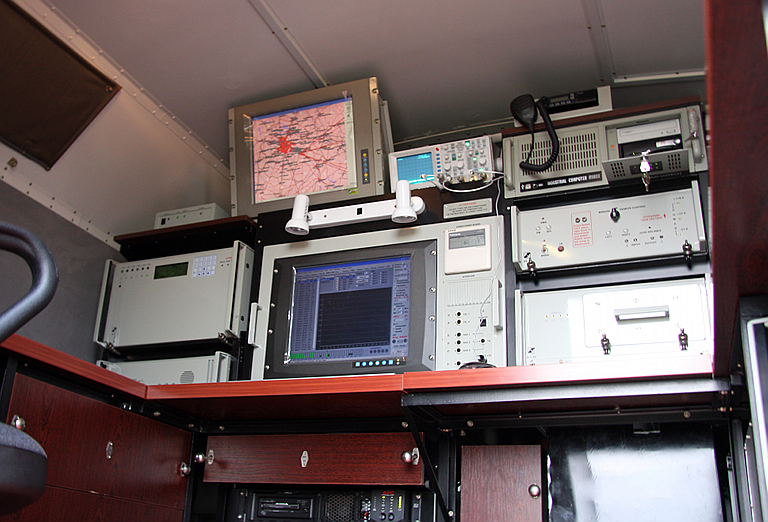 The system can also operate together with active detection system to form a mutual supplementary surveillance network. 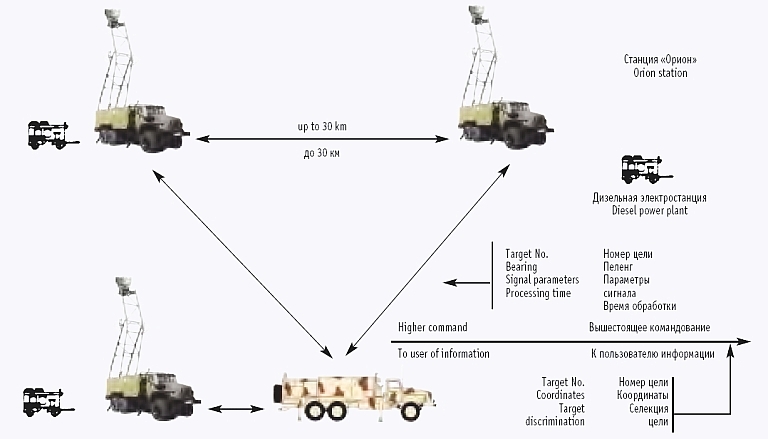 Typical configuration of DVL002 Passive Detection 'system is composed of three reconnaissance stations. One of them serves as master station and the other two as slave stations. The system can be expandable to four station configuration with perfect performance of full spatial coverage and altitude information of air target. Each station is carried by an individual vehicle. DLW002 console display of target track. 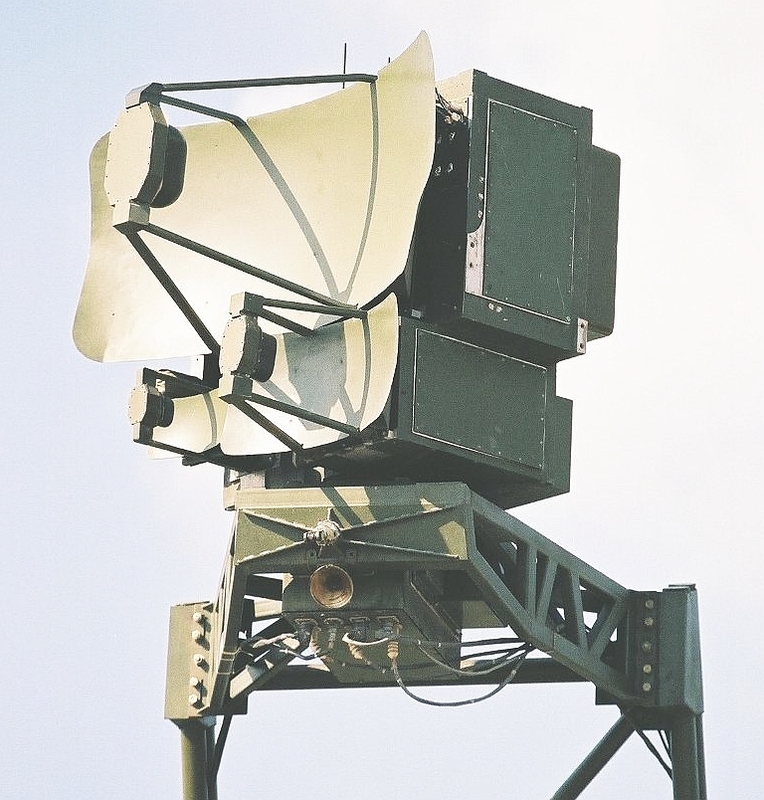 aerial emitting targets using active radar, including fighters, AEW&C aircraft and UAVs. 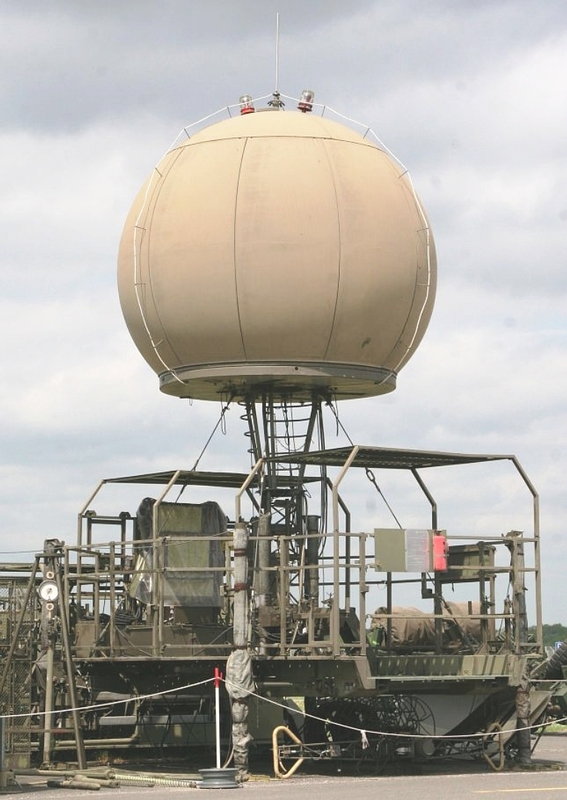 surface targets including early warning radars, acquisition radars and fire control radars. 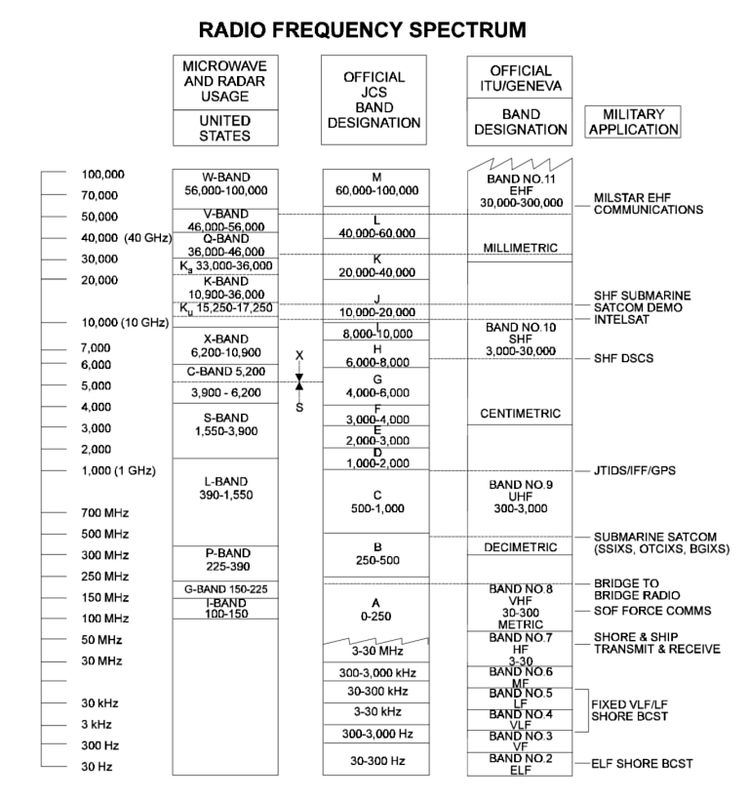 Stated band coverage is 380 MHz to 12 GHz. Deployment time is claimed to be 1 hr, with all system components on 8x8 or 6x6 trucks. At the time of writing no good quality imagery of production equipment was available through open sources. This limits current assessments of the system's capabilities. 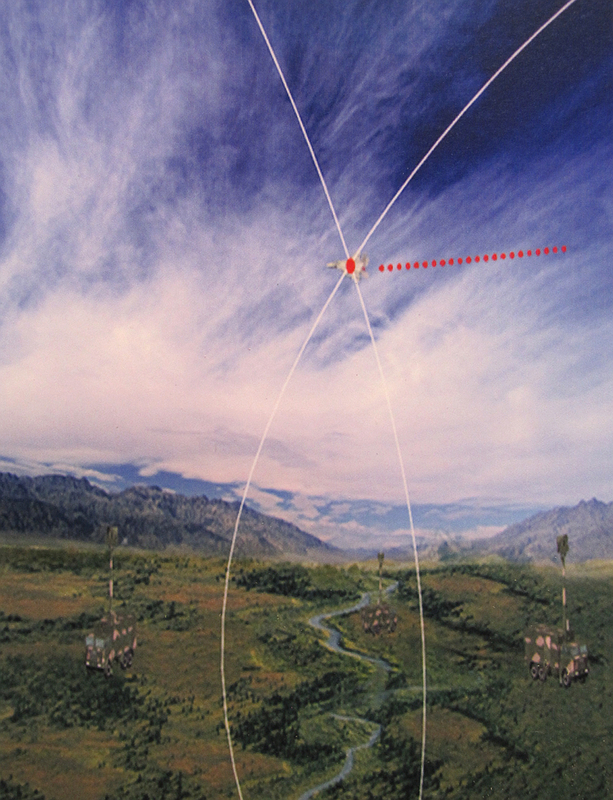 It is likely that DTOA techniques are used for target acquisition and coarse tracking, and DF techniques used for precision tracking, using DTOA derived coordinates to cue an interferometric DF antenna. Avaliable material does not state whether a heightfinding capability is provided, if so this would likely be performed using interferometric techniques with the DF subsystem. Once better quality imagery of the antenna arrangement becomes available, a more precise definition of capabilities and limitations will be possible. It is likely that much of the YLC-20 design is based on documentation acquired during the abortive attempt to procure six Czech Vera E DTOA ELS systems. The YLC-20 was first disclosed in 2006. We have yet to see hard evidence that the PLA is integrating the YLC-20 or Kolchuga M with its S-300PMU/PMU1/PMU2 SAM batteries. 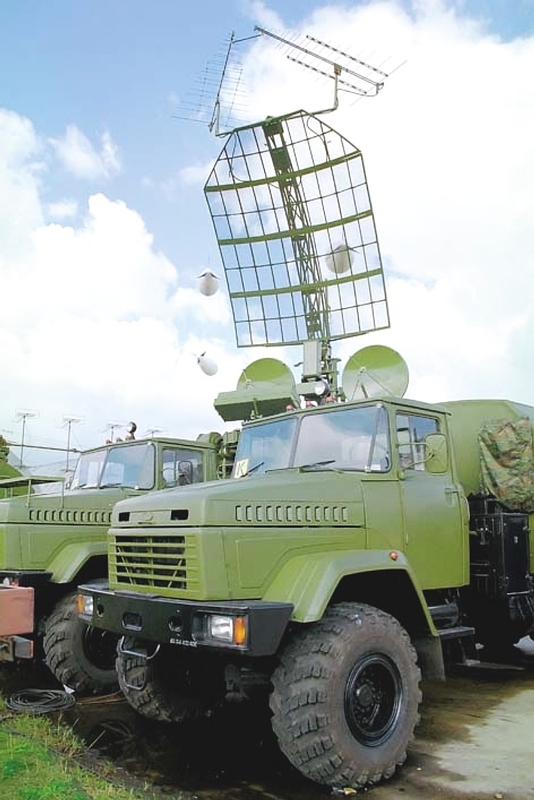 That is however not a technically difficult task to perform and given recent Chinese writings on the use of VHF radar to provide midcourse guidance for SAMs, something we can be certain the PLA is planning. The principal risk which arises is that emissions from any network antennas on combat aircraft which can be detected by more than two DTOA or DTOA/DF ELS would permit passive tracking and provide coordinate data of sufficient accuracy to effect a SAM shot - or vector a fighter (Author). DTOA systems make use of three or four widely displaced receiver stations which employ a synchronised high precision clock. 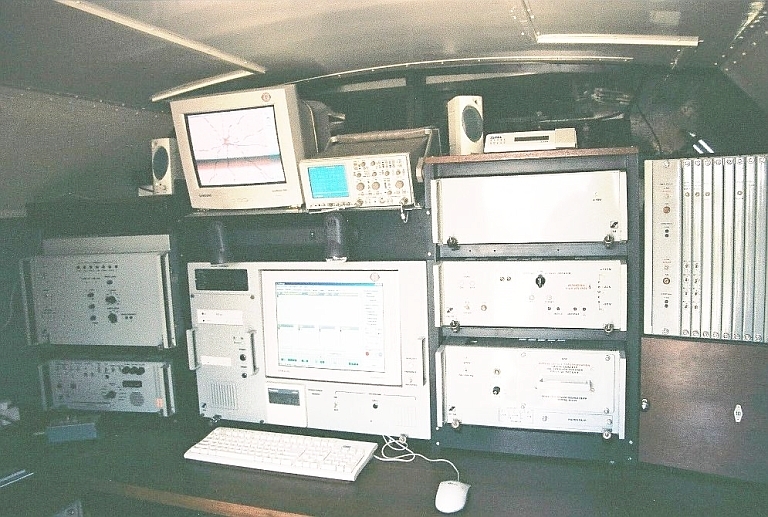 All received signals, such as radar pulse trains, IFF emissions, network or datalink packets, etc are identified, sorted, and timestamped, and the collected data relayed to a central processing site, such as a van. 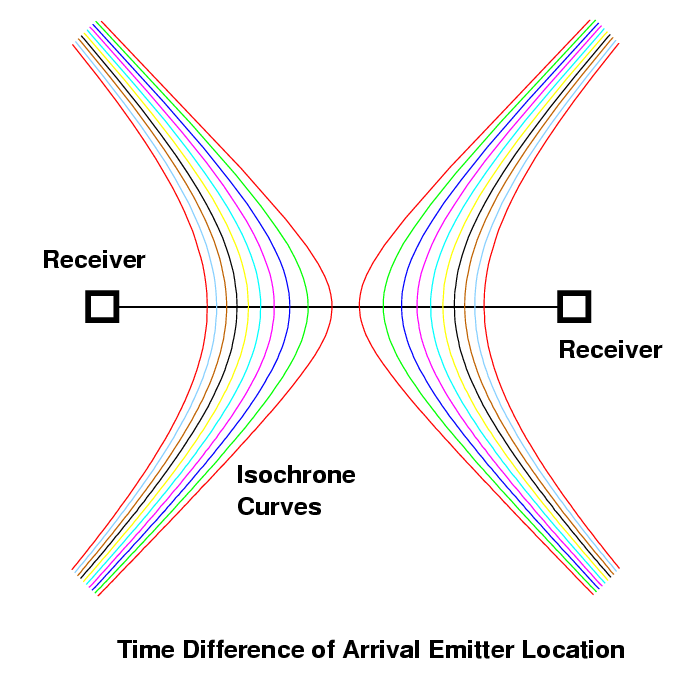 What a TDOA system exploits is the fact that the geographical location of any emitter which produces a specific difference in time of arrival to a pair of receivers will fall along a hyperbolic curve termed an "iso-chrone" (curve of like time). With two receivers the observer knows only that the location of the emitter falls somewhere along a curve. With three or more receivers, the observer knows the emitter falls somewhere along several curves. The points where these intersect is where the emitter can be found.